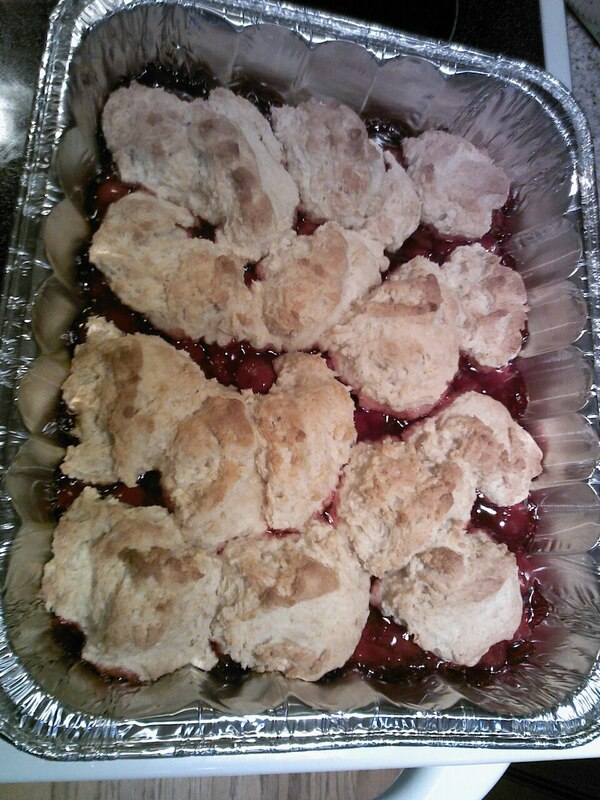 I made a test cobbler for our upcoming Godfamily Thanksgiving Dinner. It is so good, I want to go bury my face in it and pretend I am in a cobbler eating contest and just slurp it up. But I won’t. Instead, I will just share the recipe with you. This is the easiest dessert recipe you can imagine, and I’ve yet to serve a disappointing cobbler. I usually make peach, so this was my first try at cherry–very happy with the results. You need a cold oven. 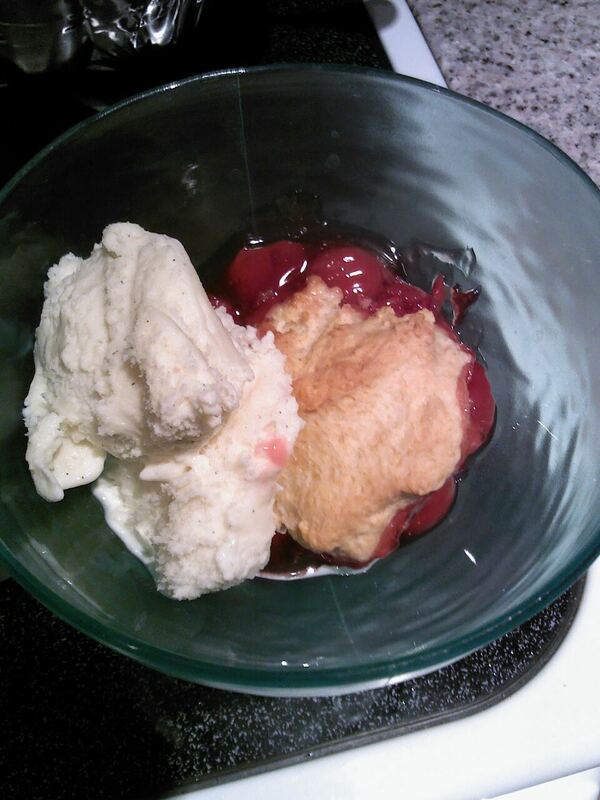 Put your cherry filling in a casserole dish and pop that in the oven, then pre-heat it to 400. While your filling is warming and the oven is preheating, mix the bisquick, milk, sugar, butter, and vanilla until you have a soft dough and everything seems evenly distributed. Drop your dough on top of your cherry filling in 6 spoonfuls, then bake at 400 for 18–20 minutes, or until your dough is a pretty, light brown. What is good about the way the dough sort of biscuits up is that it is easy to get a nice scoop of crust and an equal amount of filling. Makes serving sizes easy to determine, and makes it that much easier to plate for your desserts. What is delicious is the way the dough flavor marries up with the cherries. You’ll want to serve it a la mode. I prefer Blue Bell Vanilla Bean.